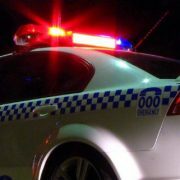 A MAN has been killed in a single vehicle crash on Queensland’s Western Downs. The man, aged in his 30s, died when the four-wheel-drive he was driving left the road and rolled Tara, about 90km west of Dably, shortly before 8am on Saturday. Police said the man was travelling west on Taylors Road when the accident occurred. Sadly, the local Tara man could not be saved and died at the scene. His passenger, a 19-year-old man from Roma, was transported to hospital with none-life threatening injuries, police said. The Forensic Crash Unit is investigating the circumstances surrounding the accident.